At LeBow, our focus is student success. With nearly 100 years of experience in cooperative education (co-op), where students receive rigorous academic training while also getting up to 18 months of full-time employment at leading corporations, we are the industry leaders in integrating academic and professional development of students. Our faculty’s research expertise combined with a curricular focus on rigorous business problem-solving techniques enables our students to address complex problems that industry is facing today. This type of approach to education is even more important in today’s environment where innovations are transforming business and society at an unprecedented pace and all companies, old and new, are being forced to rethink how they create value. 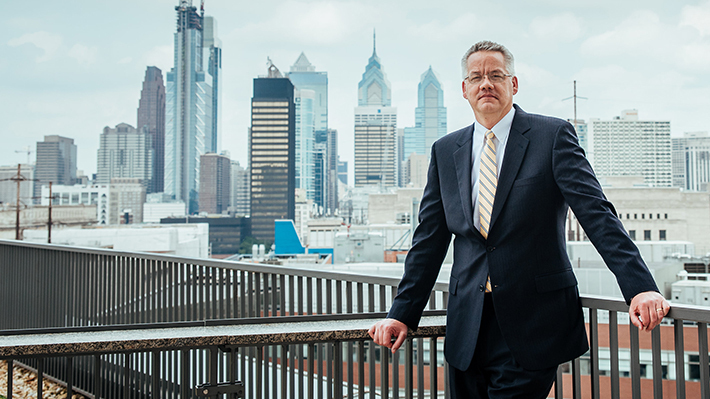 As one of the only comprehensive national research co-op universities in the center of a major metropolitan area, Drexel LeBow is uniquely positioned to meet this growing market need. With leading academic researchers and an extensive network of corporate partners bringing industry perspectives into academic programs, LeBow engages students to create significant impact for organizations. These experiences prepare our graduates not only for advanced studies, but also to contribute immediately and effectively in the business world. If you’re ambitious, curious and excited to solve real business problems during your collegiate career, I hope you’ll join us here in Philadelphia!